Trixie, Knebworth Park & Wintergreen Railway, 25 July 1976. 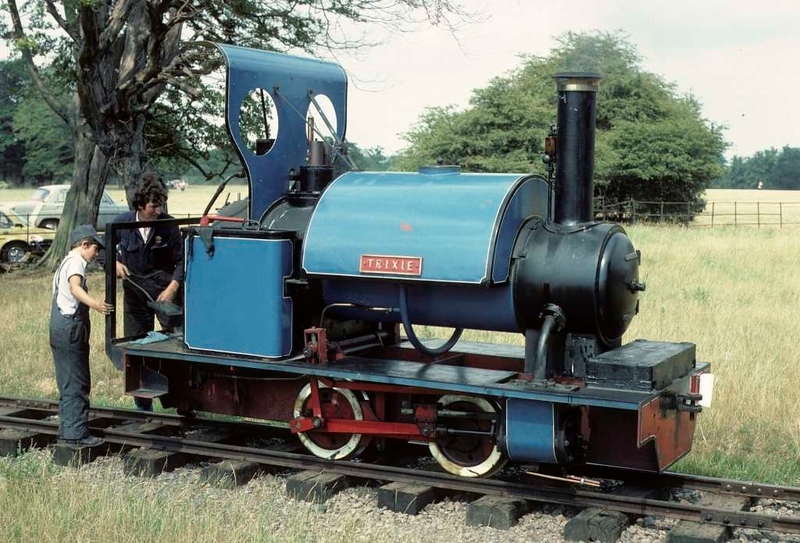 0-4-0ST built by Trevor Barber in 1974. At the time of this photo it was owned by Alan Keef and was based at the Meirion Mill Railway in Dinas Mawddy, north Wales. The railway only operated 1975 - 1977. Trixie moved to Belgium in 1977, and in 2018 was thought to be in France. Photo by Les Tindall.